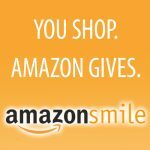 Designate Burgess Elementary School as your charity choice at smile.amazon.com. Your everyday Amazon purchases will benefit Burgess when you finalize your purchases from the smile.amazon.com website. Clip and save Box Tops labels available on hundreds of products you buy every day, from cereal to Kleenex®. Each label collected earns cash for Burgess. Just send them in and we will do the rest. Little Bites has teamed up with TerraCycle to help eliminate waste. 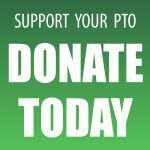 Save your Little Bites Snack Pouches and drop them off to the PTO Mailbox. Burgess receives $.02 for each pouch turned in. If you’re a Target REDcard holder, each purchase you make with your card can earn dollars for Burgess. Simply enroll in the program at www.target.com/tcoe. Register online at www.stopandshop.com/aplus or register by phone at 1-877-275-2758 or register right at the store with your smart phone. After you register your card, each shopping trip at Stop&Shop using your Stop&Shop Card earns cash for our school.